GA Telesis believes that strong companies build strong communities and we are committed to giving back. Each of our offices has a relationship with a local charity and throughout the year we participate in clothing, food and supply drives, volunteer for aftercare programs, participate in lunch services and more. Recently we completed a renovation project on a foster care home for Kids in Distress. Previous partnerships have included Kids in Distress, Denver Children’s Hospital, The Broward Partnership for the Homeless and the Ronald McDonald House. 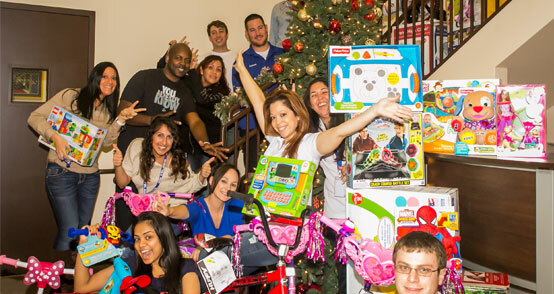 Our current Intelligent Community Partner is the Make-a-Wish Foundation of Southern Florida. GA Telesis takes Catherine “Under The Sea” with Make-A-Wish of Southern Florida. GA Telesis holds a Tent Drive to help those affected by the earthquakes in Ecuador. Our team hosting a BBQ for the families at the Ronald McDonald House in Miami, FL. Our team raising awareness for the fight against breast cancer.